Total : 167 j. 01 h. 13 min. Temps à bord d'ISS ISS Expédition 28/29 164 j. 22 h. 23 min. Total: 164 j. 22 h. 23 min. Born on April 4, 1964 in Jokohama, Kanagawa, Japan. EDUCATION: Received a Doctorate in Medicine from the University of Tokyo in 1989, and a Doctor of Philosophy degree in Medical Science from the same school in 2000. FAMILY STATUS: married, has two children (a boy and a girl). HOBBY: Baseball, bowling, music and travelling. From June 1989 to June 1990 he worked as a hospital physician in the Department of Surgery at the University of Tokyo, as well as the Department of Anesthesiology at JR Tokyo General Hospital. From June 1990 to June 1991 Furukawa worked as a hospital physician at the Department of Surgery at Ibaraki Prefectural Central Hospital. From June 1991 to April 1994 he worked as a surgeon at the same hospital. From 1994 to 1997 Furukawa worked as a surgeon at different hospitals in different prefectures. Since June 1997 Furukawa works in the 1st Department of Surgery, the Chair of Medicine, at the University of Tokyo. On February 10, 1999 he was selected by the National Space Development Agency of Japan (NASDA) as the Japanese astronaut candidate. 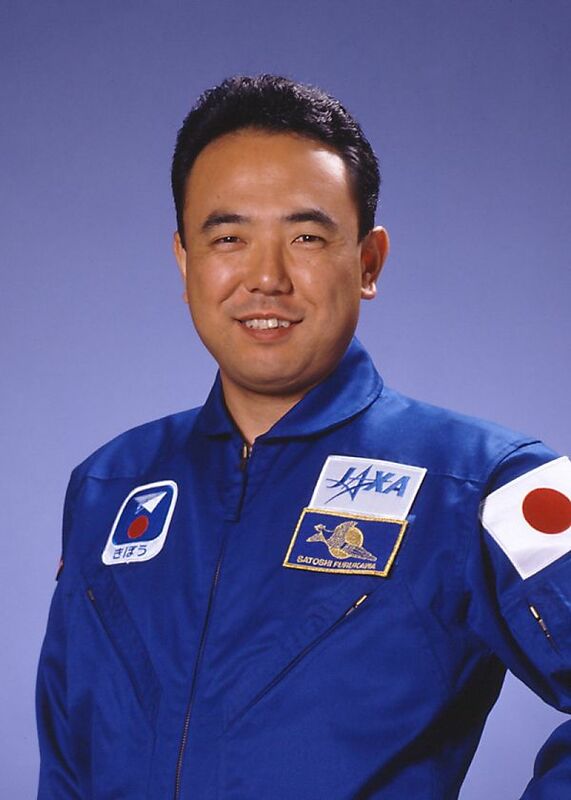 From April 1999 to January 24, 2001 he passed general space training at NASDA Astronaut Office, Tsukuba Science City and was certified as an astronaut. From July 5, 1999 Furukawa took part in a week sea training held on the Black Sea Coast in Kudepsta, together with the Russian cosmonauts. From August 26 to September 6, 2002 he was engaged in training (under the ISS flight program) at the European Astronaut Centre EAC, Cologne, Germany. In January and March 2003 he participated in the second training session on the Kibo Module hardware. From July to September 2003 he passed training on the Soyuz TMA SC simulator in Russia. In November 2003 he was engaged in the development of the Kibo Module/ISS docking procedure related to EVA. From June 2004 he passed training at the Johnson Space Center. 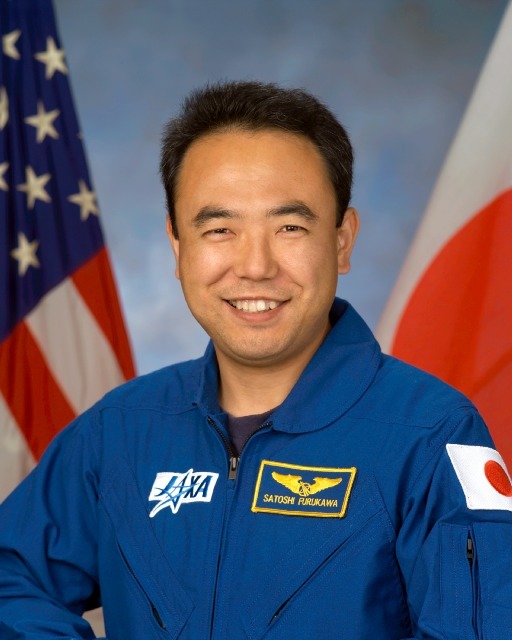 On February 10, 2006 Furukawa was certified by NASA as a mission specialist, and assigned to the ISS and Robotics Departments of the Astronaut Office the Johnson Space Center. After certification as MS he remained to work in Houston to perform operations related to the prelaunch processing of the Japan Experimental Module - JEM. On May 14, 2008 JAXA declared of the achievement of the preliminary agreement between the ISS program participants and Furukawa assignment to in the backup crew of Expedition 22 to the ISS. 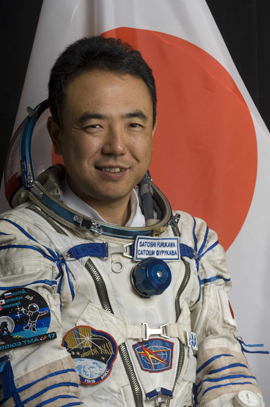 On December 17, 2008 the Japan Aerospace Agency JAXA declared that Furukawa will participate in a half-year expedition to the ISS scheduled for spring 2011. In July 2009 it was reported that he was assigned to the backup crew of Expedition 26 to the ISS and to the prime crew of Expedition 28 to the ISS. On October 7, 2009 his assignment was confirmed by NASA (release ¹ 09-233). Based on the data of site www.astronaut.ru. and www.nasa.gov.